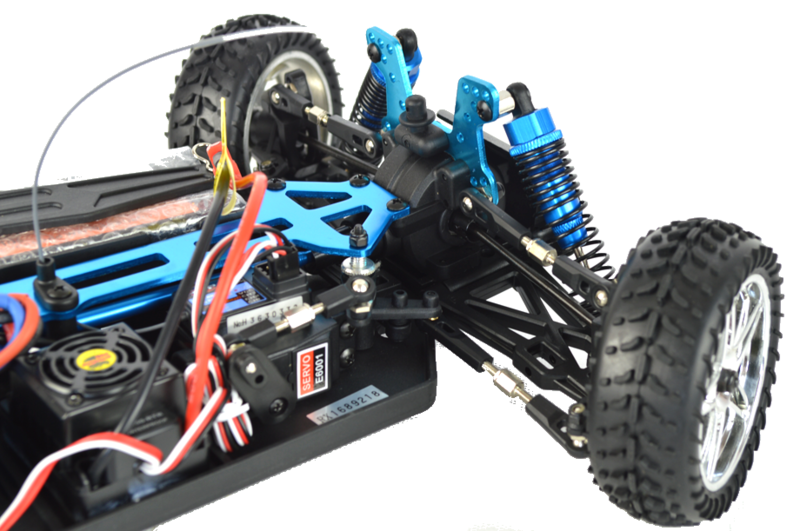 Winner of the Auto Express Best Buy RC Car of 2016 who said "With such a great range of cars, it was hard to choose a winner, but Nitrotek's HSP XSTR Buggy was such good fun we couldn't put down the controller." 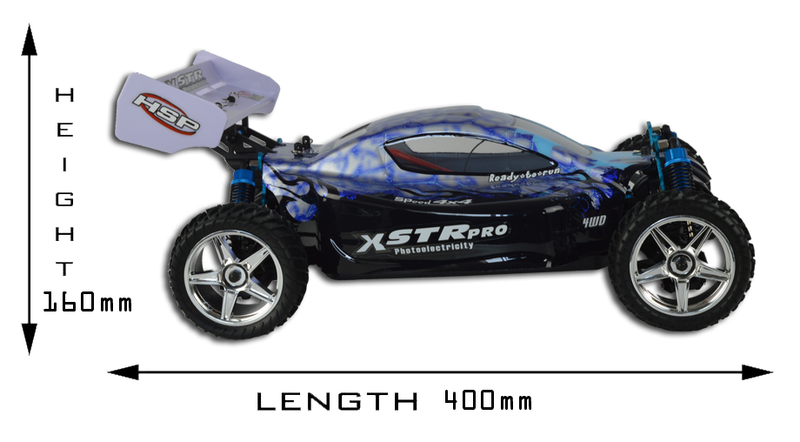 This is the PRO top of the range upgraded version of the XSTR electric buggy. 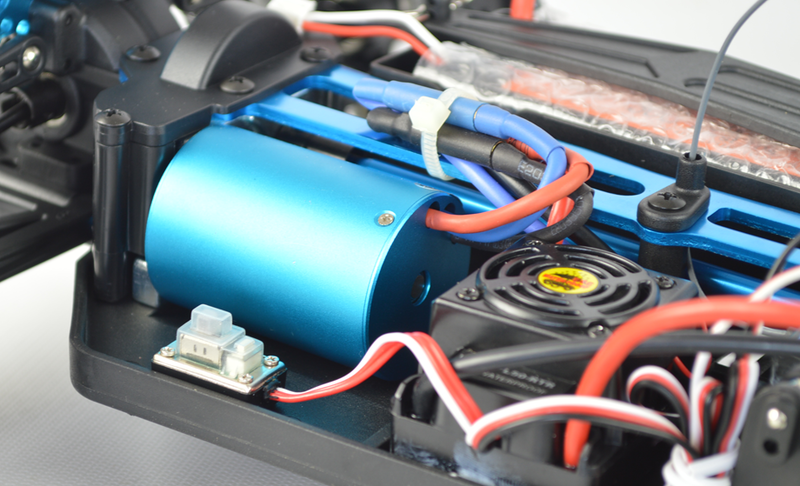 As well as the features found on the standard XSTR this PRO version has been upgraded with FSD 3300KV brushless motor, Hobbywing 50A brushless ESC and Fullymax 7.4V 3500mAh Lipo battery with Lipo charger. The PRO buggy comes with an exclusive pre-painted Pro shell. 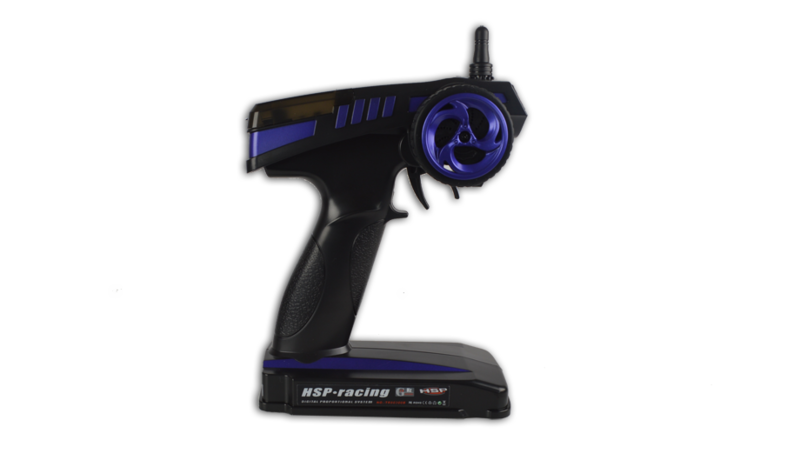 The XSTR comes ready to run, all you require are 8 standard AA batteries for the 2.4GHz transmitter and you are ready to go. 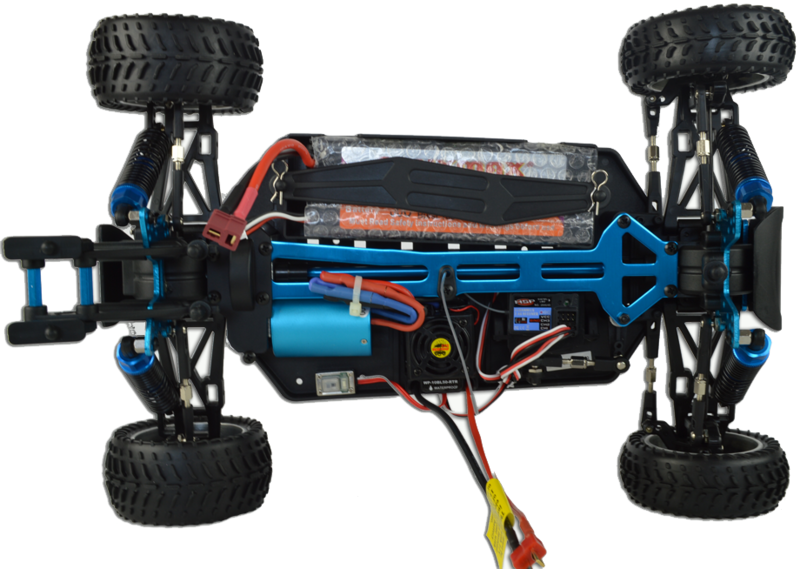 Brushless motors are much faster than brushed ones making this a very fast model. 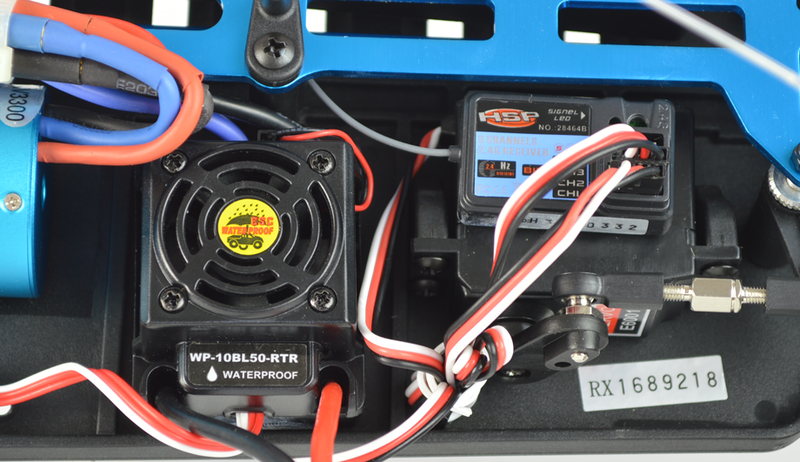 The motor is connected to an electronic speed control with feature fan that keeps it operating at its peak temperature. 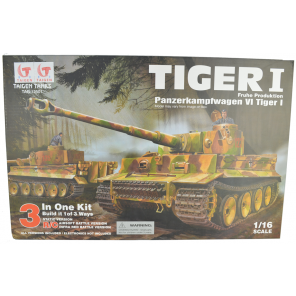 Includes a powerful lithium polymer battery pack with special lithium battery charger. Ball bearings are used instead of metal bushings making the model smoother and faster. This model has a 4 wheel drive system for better performance off road and also improved grip when cornering. The buggy also features working front and rear differentials that further greatly improve handling and performance. What is the name of the charger that comes with it? 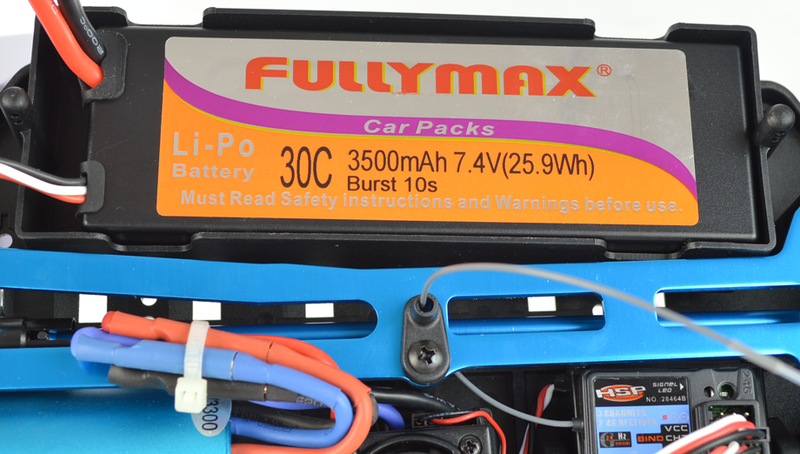 The charger for this model is a standard Ni-MH Battery 7.2v charger with Tamyia connector. Hi, we have blue and black or blue and orange. Very quick, handles great and the battery lasts ages! Recommended!